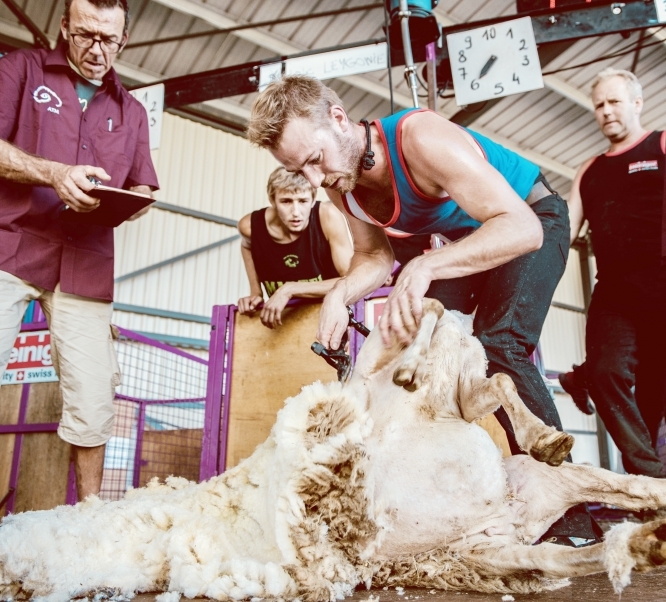 Loïc Leygonie from Cuzance near Souillac, Lot, is the French sheep shearing champion 2018 and part of the France team which won the 6 Nations Sheep Shearing competition held this year at Mayrac, Lot. The competition, like its rugby equivalent, is held every year between France, Scotland, Wales, England, Northern and Southern Ireland. Most often Scotland and Wales are the champions but this year Loïc Leygonie was thrilled that his country won, proof, he says, that they are improving. It is really for the well-being of the reproductive ewes, which are bred for the lambs raised for meat and kept for several years. They have to be sheared once a year in a season which can stretch from January to August because of the heat in summer and the parasites which could get into the wool.